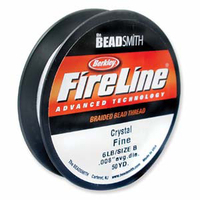 High quality stringing materials are an essential component to all kinds of beadwork. 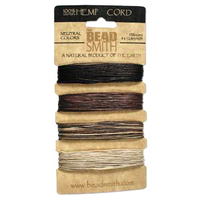 We carry a wide selection of superb string, cable and cord for all of your string, knotting and bead weaving needs. 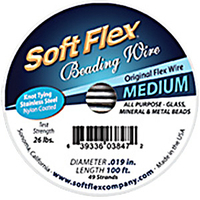 We pride ourselves in carrying Soft Flex cable that is simply the best quality bead stringing cable on the market. 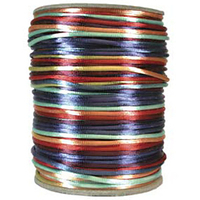 Nymo and Fireline are highly recommended for all kinds of bead weaving, loom work and all kinds of seed bead work. 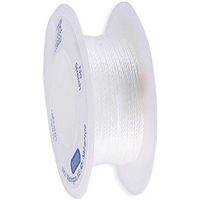 High quality Griffin silk made in Germany is perfect for knotting floating bead necklaces. 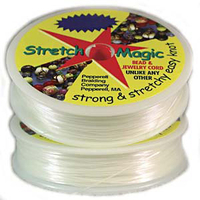 Top quality English beading needles, stretch magic, rayon cord, hemp tine and more.